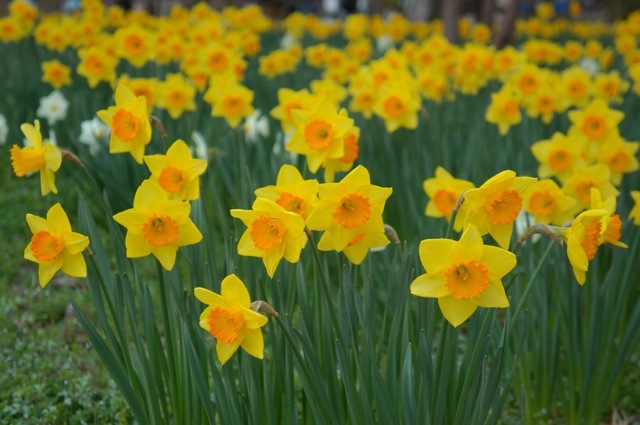 About 1 million narcissus flowers of over 600 varieties bloom over a hectare of land creating a colorful, enchanted, and sweet-smelling setting under the pinewoods. 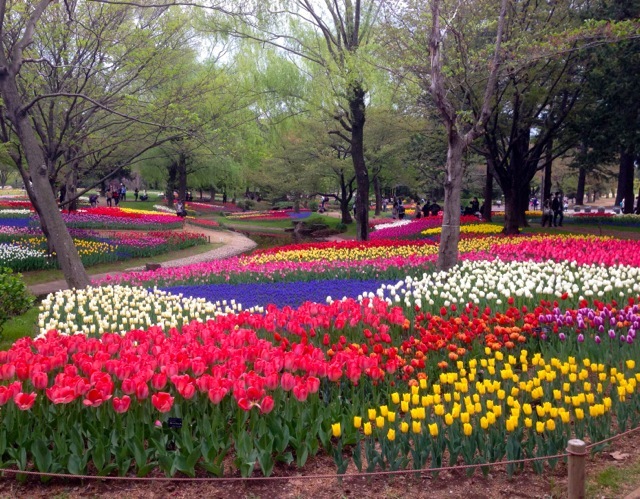 As soon as the narcissus flowers fade, around 280,000 tulips of about 220 varieties will color the “Tamago no Mori” or “Forest Flower Garden of eggs”. The colorful tulip flowers will surely appeal and warm the visitors hearts. 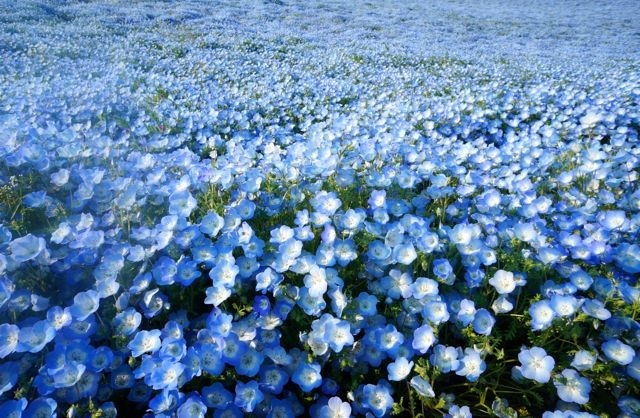 The blossoming of the nemophilias is the climax of the Spring Flower Sequence, when about 4.5 million blue nemophilas bloom over the 3.5 hectare “Miharashi No Oka” hill creating a stunning light blue carpet under the the blue sky. 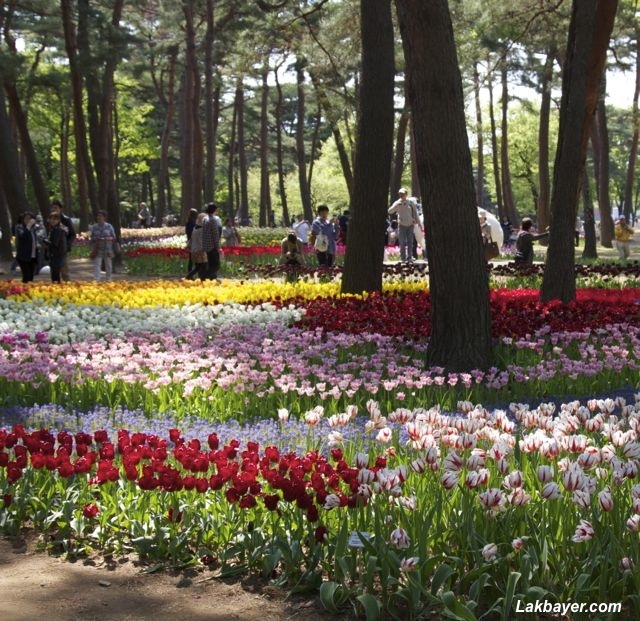 The 163 hectares park located in Tachikawa provides visitors with a wide variety of flowers and trees from season to season. 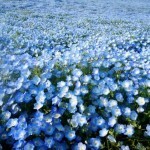 It is specially famous for its flower festival when the flowers create a colorful carpet like landscape. 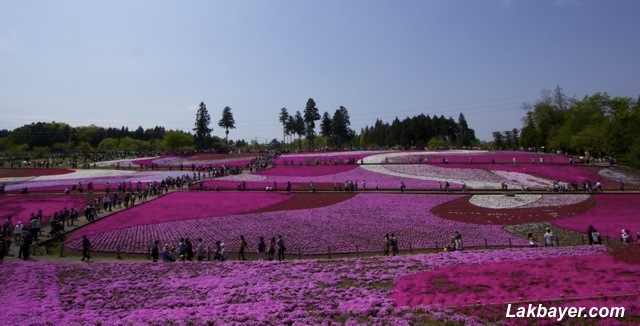 The Fuji Shibazakura Festival (富士芝桜まつり, Fuji Shibazakura Matsuri) is one of the most popular event in Japan. 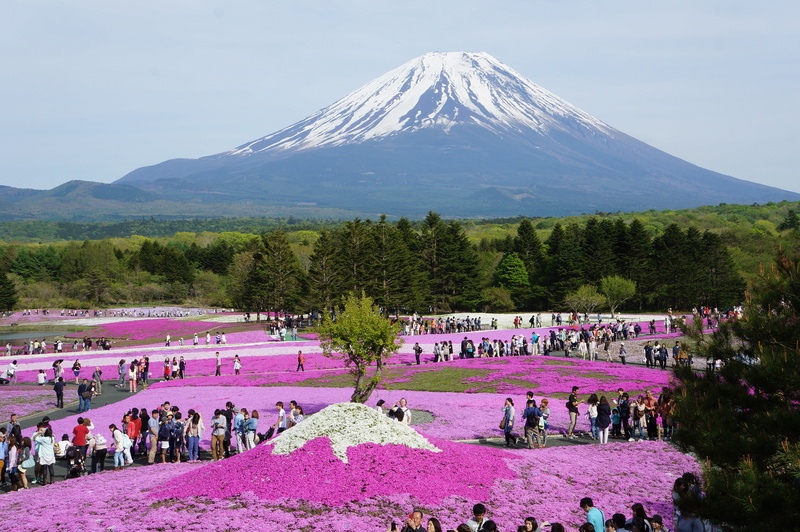 About 800,000 moss phlox blooms in a vast field, about three kilometers south of Lake Motosuko in the Fuji Five Lakes area, creating a stunning view with Mt. 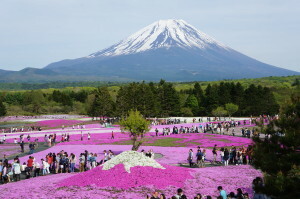 Fuji on the backdrop. About 40 million pink, white, and purple phlox are creatively spread on the 1.76 hectares slope of Hitsujiyama hills located at the foot of Mt. 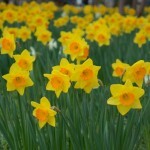 Bukō. 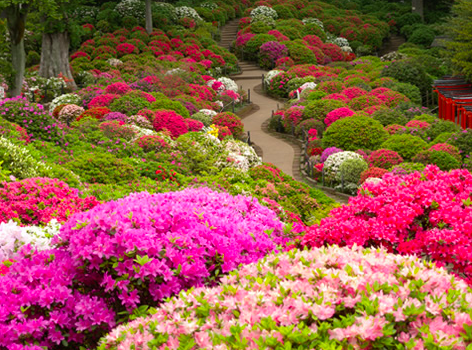 The Nezu Shrine is one of Japan’s oldest shrine. 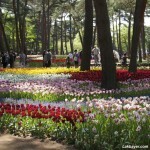 It is set in lush greenery with ponds and pathways. The shrine is also known for its 300-year-old beautiful azalea garden, which features approximately 3,000 azalea plants of 100 species. 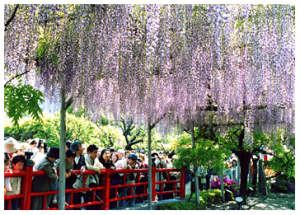 The shrine is not only a place to pray but also a great place to view wisteria In Tokyo. Lovely purple wisteria flowers dangled from trellises, which mostly hang around the pond.